Keep the Peace is an in-depth law enforcement strategy game under development for the PC. You'll take the role of Police Chief, responsible for the safety and security of your town, city, or region. 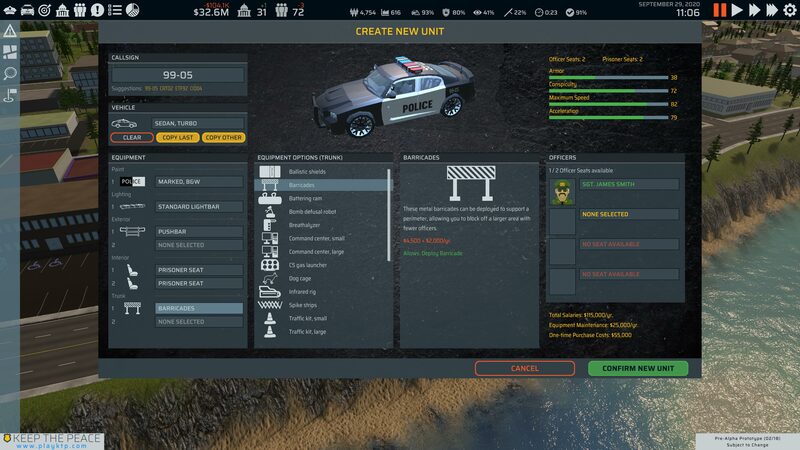 Hire officers, put them into units, customize their vehicles and equipment, and deploy them around your city. Respond to dangerous emergencies -- such as bank robberies, break-ins, shootings, high-speed pursuits, car accidents, natural disasters and more. Decide how your officers should approach complex incidents: should they negotiate with a violent hostage taker, or break down the door? Should they block a growing group of protesters, or let them march unimpeded? A variety of factors could affect your decision in each unique situation.